Microclimates in urban areas arise through the interaction between prevailing weather conditions and landscape design parameters. A well-arranged landscape creates a pleasant outdoor environment. Additionally, the classification of microclimates helps to illustrate variations therein and analyze influencing factors. This study classified microclimate zones (MZs) based on a statistical method and identified influential landscape design parameters with the aim of enhancing human comfort. We conducted our study at Yeouido Park in Seoul, Korea, which has various landscape design parameters, including tree canopy cover and ground surface type. 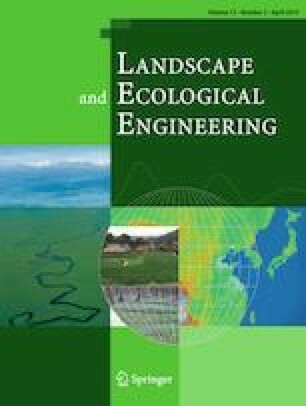 A novel MZ classification method was developed in this study, then stepwise regression was used to analyze the relationship between microclimate and landscape design parameters. It was found that the MZ classification effectively demonstrated spatial microclimatic differences and characteristics on a park scale. The efficiency with which trees improved the microclimate depended on the ground surface type. However, the significant effects of landscape design parameters on the microclimate and human comfort differed by season and time of day. This study provides a statistical method for analyzing an urban microclimate and serves as a reference regarding how to effectively modify the meteorological environment on a microscale via landscape design, in both summer and winter urban outdoor spaces. This work was supported by the National Research Foundation of Korea (NRF) grant funded by the Korea government (MSIT) (No. NRF-2016R1D1A1B03933179), and R&D Program for Forest Science Technology (Project No. 2016007B10-1819-AB01) provided Korea Forest Service (Korea Forestry Promotion Institute). Cercidiphyllum japonicum Siebold and Zucc. Cornus officinalis Siebold and Zucc. Juniperus rigida Siebold and Zucc. Prunus armeniaca var. ansu Maxim. Styrax obassia Siebold and Zucc. Tilia mandshuria Rupr. and Maxim.